One of the best combos to learn in boxing is the one-two punch: it’s fast, stunning, and if done correctly, it can earn you points and awe your opponent. This article is about the one-two-punch version of SEO ranking data presentation – Pro Rank Tracker’s new Quick Glance Trend column. A known rule of thumb when it comes to creative writing is to show, not tell; we feel this is true for SEO data ranking presentation as well, which is why we came up with the Trend column. Next to the Trend graph you will find the rest of the corresponding ranking data. Our data tables, the infrastructure in which your data is displayed, aim to show you all the relevant data of a term in one place, according to the needs of SEO in 2018. 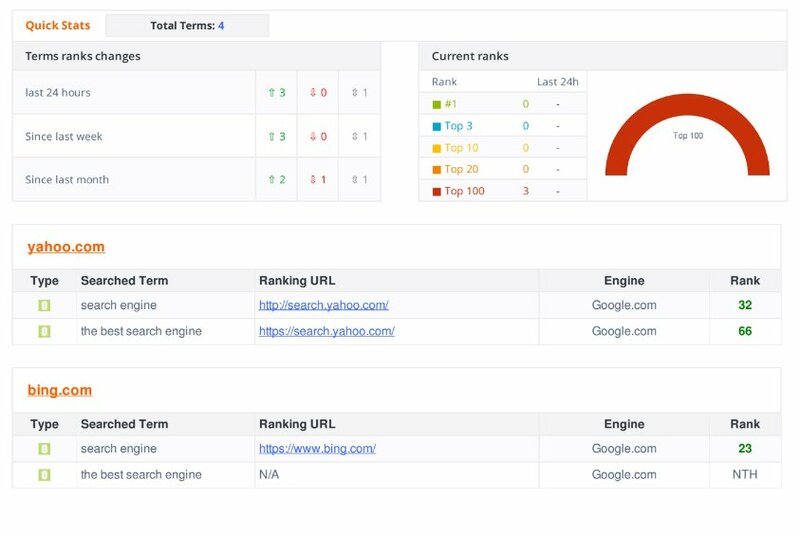 Sending ranking reports to clients and keeping them informed is a basic requirement of SEO experts, as we have mentioned on numerous occasions in this blog. We know that our users have clients of their own to take care of, so we made all our reports 100% white label, so that we can remain entirely backstage and let you feature your brand and company details. 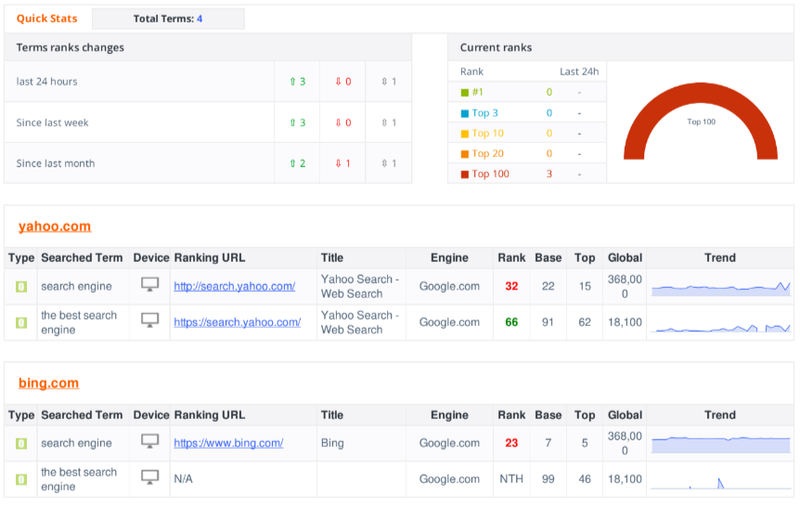 Our SEO ranking reports are designed to truly look impressive to your clients and make you look professional. Virtually everyone understands a graph and can appreciate a visual representation better than just dry numbers. Adding the Trend column to the reports you send will help your clients see their progress with ease, and if that graph is rising and positive, then even better! 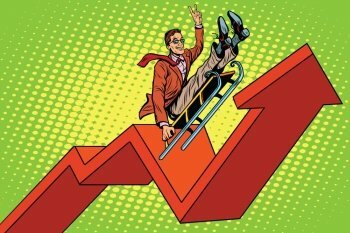 May you ride the Trend graph all the way to the top! You can sort the data by every column. We highly recommend that you use the Trend column in both your regular data table and in the reports that you send out to clients. You will experience firsthand what difference this little detail can make in data reading. 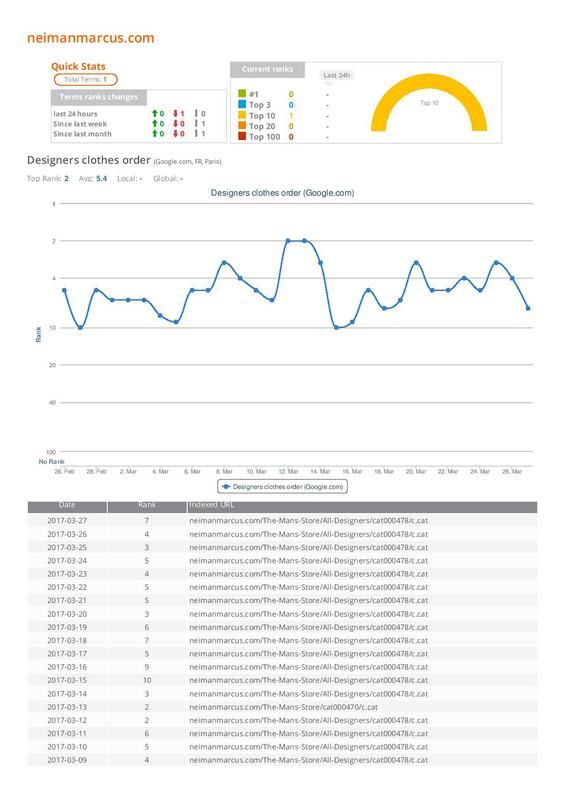 Progress Reports are also great for showcasing case studies of successful SEO campaigns. The Trend column is just one of several new features PRT has unveiled, and there is much more in store for 2018. The next ones we introduce will take SERP tracking to a whole new level. Subscribe to our blog so you won’t miss on any search engine news plus the new features that are coming. Also, if you liked this post, please share and let us know your thoughts with a comment below. PRT is an SEO-centered tool that offers everything you need for rank tracking by 2018’s SEO standards. A single webpage can have thousands of different ranks for the same keyword, and we can track every single one of those ranks. By bypassing Google’s personalization filters, we can show you your REAL rank. Our goal is to be as SEO oriented as a rank tracker can be. Staying on point and not clogging our tool with redundant features allows us to have the friendliest prices on the market. The Trend feature is available to all our users, even those on our FREE PLAN, so start sending those awesome reports. Your clients will be impressed!